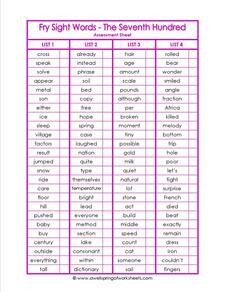 Fry sight word assessment sheet for the seventh 100 Fry words. Comes with a nifty check box to mark if kids need to practice certain words. Go to this page to see all the Fry sight word assessment sheets in this set.